Engineering alumnus Jason Yakimovich (CompE 1T3+PEY) is a true Canadian: he’s always brainstorming better ways to keep warm through harsh winters. 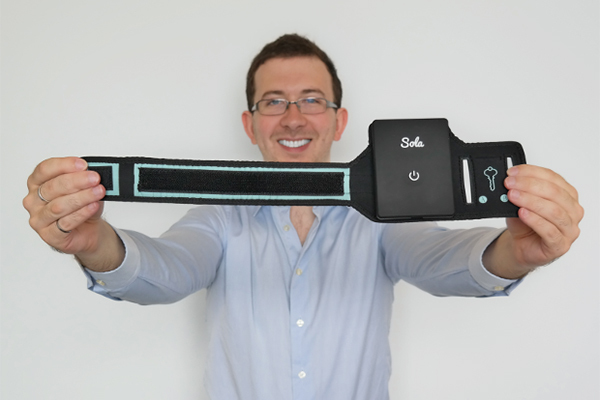 Now he has invented Sola, a personal and controllable heating device worn on the upper arm. 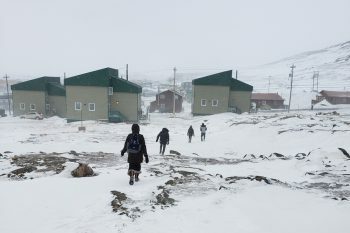 In cold temperatures, blood rushes from the arms and legs to maintain the body’s core temperature. 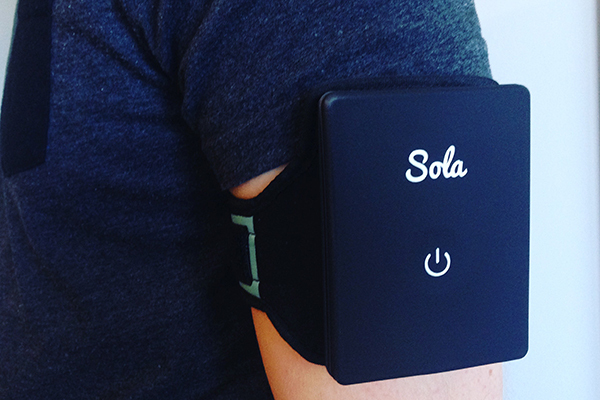 By warming blood in the upper arm, Sola can boost the wearer’s core temperature by up to 0.2 degrees C in a matter of minutes. Sola monitors temperature carefully to keep the user comfortable at all times, whether they are hitting the slopes or simply walking to work. 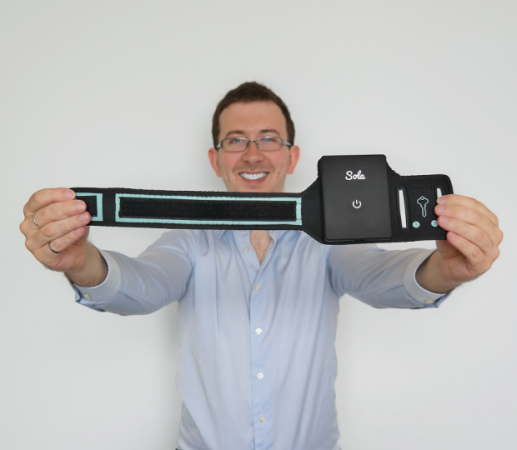 The startup launched its first crowdfunding campaign this week on Indiegogo. During his fourth year in U of T Engineering, Yakimovich and teammate Alex Huang (ElecE 1T3+PEY) joined The Entrepreneurship Hatchery, one of University of Toronto’s campus-linked accelerators and the go-to destination for burgeoning startups. There they developed and launched their first wearable heating system, called FuelWear, as part of the 2014 cohort. FuelWear took home the grand Lacavera Prize at the 2014 Hatchery Demo Day, worth $20,000. Their product piqued the interest of a large customer base, which ultimately helped the team raise over $90,000 with a crowdfunding campaign. The company dissolved after two years, but the experience hasn’t dampened Yakimovich’s passion for entrepreneurship. Yakimovich sat down with the Hatchery’s Jillian Barreca to discuss the challenges of entrepreneurship, and how his engineering background helped get him where he is today. 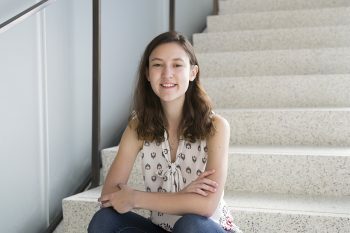 Why did you choose to study engineering at U of T? I’ve always wanted to build things and figure out how the world works. I’m from Edmonton but I came to U of T because of the reputation of its engineering Faculty, particularly aerospace. 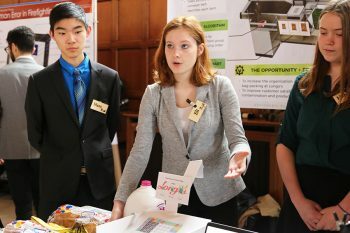 In the end, I studied computer engineering but the initial draw to U of T was aerospace engineering. How has your experience at The Entrepreneurship Hatchery been valuable to you and your career? This all started with the Hatchery since FuelWear led to developing Sola. I was always interested in startups but didn’t really know where to begin. Through joining the Hatchery, I was able to develop a really great network which is how I was able to build the Sola prototypes. I learned a lot from working on and launching FuelWear, which originated through the Hatchery program. Have you had any mentors who helped you along the way? When I was first working on FuelWear, Professor Vaughn Betz (ECE) showed me the vital importance of validating products and researching the market before developing a product. That has helped me a lot. Even though I graduated two years ago, I’m still working with the Hatchery and seeking advice from my mentors there. How did you come up with the idea to create Sola? I had been working on FuelWear for two years, so although that project eventually ended, the idea of running a startup still really appealed to me. Initially I wasn’t planning on developing another heating system, but I had so much knowledge from working on FuelWear that I wanted to do something more with it. I was able to use the market intelligence and customer contacts I had previously gathered at the Hatchery for this new project. I started doing more market research for a product that would be smaller, more convenient and can be slipped on and off easily. I wanted to make something that actually alters the way the user feels. It’s a small change but it makes you feel much warmer. What are your plans for the crowdfunding campaign? I launched the campaign on Indiegogo on June 20th and this time around I have more PR planned. I am working with a company to contact around 400 bloggers to target three demographics: wearable tech enthusiasts, homeowners and outdoor explorers. Watch for us in the news!